Espresso Shots – Page 17 – Health. Lifestyle. Education. Positivity. And More. Global Developmental Delay is a condition wherein the child has some problems when it comes to building their developmental skills. For example by the age of 8 months, normally the child can sit on the floor without any support; but for some reason a child with a global developmental delay condition seems to have some difficulties developing this skill. Through special education, a child with a global delay disorder can be given treatment by focusing and rendering interventions that would help address their needs. This special curriculum is based on treating the child’s deficit. Developmental skills are based on 5 categories which includes gross and fine motor skills, cognitive skills, language, vision and social skills. In order to help improve the child’s condition it should be first assessed as to where he or she has some delays and focused on it. If the child has some difficulties when it comes to his or her motor skills, he or she is advised to see a physical therapist. If he or she is suffering from language deficit, parents are advised to have constant communication with the child. Always read books to them. For some, if the problem is his or her sense of hearing, hearing aid is very helpful in this case. Also if there are circumstances wherein the child’s condition cannot be improved, they are taught to just focus on developing their strengths so as to compensate their weaknesses in one developmental area. Acceptance and utmost support from family determines the effectiveness of the child’s treatment and positive progress. I am suddenly reminded of the Sandy Hook Elementary School shooting. With the issue of security in schools, it is a must to look back and see where some people fail in securing the safety of the students. And then we take those learnings and make sure we apply it, strengthen it, and use it not only for the students’ safety but also of those people working in schools (teachers, et. al.). Let us always be vigilant when it comes to the security of our students. We never know when something bad will strike. 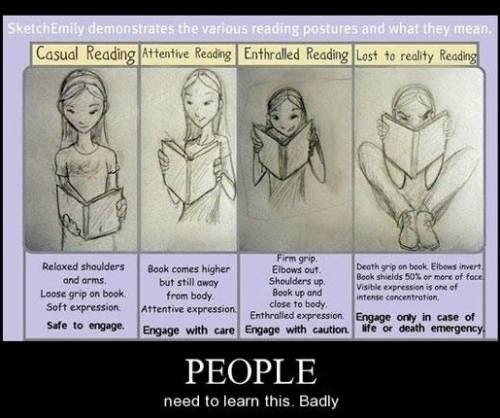 If you see someone reading, look at their posture and see if you can actually disturb them. Homeworks or school assignments are set of tasks given to students in order for the learning process to continue in their own homes and houses. These are types of assignments that must be completed outside the comforts of their classrooms. It may be in a form of reading a certain chapter of the book, making essays or write-ups or just simply answering the questions being provided by the class instructors. It elevates the level of knowledge and strengthens the lessons that have been gained from school. This can also be a way to prepare the learners for an upcoming lesson so that they can cooperate and participate well in the class. The main goal of sending homeworks is to enhance and support the knowledge and understanding of students in a specific subject matter. This can boost their familiarity regarding a certain lesson so that they would be acquainted enough with their discussions. Not only it will help them gain more information but it can also be a way for them to have a proper and systematic habit of studying. In most schools, assignments are given during school days. However, other institutions also provide homeworks during weekends. Because of this, pupils can no longer rest and relax on these specific days. They would not be able to participate on various leisure activities like playing with other kids, swimming, biking or going to malls and shopping centers. If the assignment is too long and difficult, they would no longer have the chance to spend their weekends sleeping or just doing nothing. We all know that going to school can be a very stressful task. That is why students must have a break from all of their school works and projects in order to rest. More importantly, having extensive and lengthy school assignments can lead to inadequate time for family bonding. Thus, there is a need to accomplish these assignments as early as possible. I have a question for parents out there: what does your kids do on weekends? Do you agree that weekends should be for rest and relaxation only? I heard that the Department of Education (DepEd) is asking schools to implement a “no homework on weekends” policy. That way, students can enjoy their weekends with their love ones. It is also a way for students to recharge for another round of school work. Personally, I agree with the DepEd on this policy. I like it! Students should be able to sleep a little bit longer on weekends. They should be able to play and bond with their love ones. They should be able to think of other things than just their school work. How do you regulate the use of the internet at home? Do you let your kids use the net without supervision? How long do you let them sit in front of the computer surfing the net? Do you set up a firewall to prevent them from going to prohibited sites? I want to know more how you regulate internet use for your students at home, and how you discipline your kids through its use.